Educated in the Florence of Cosimo de' Medici, trained in knighthood at his father's mountaintop castle, Vittorio inhabits a world of courtly splendor and country pleasures -- a world suddenly threatened when his entire family is confronted by an unholy power. 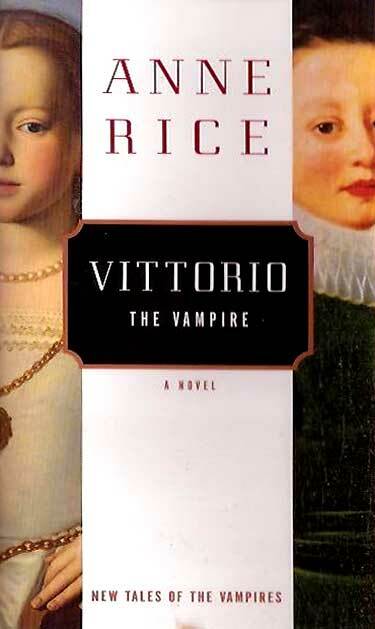 In the midst of this upheaval, Vittorio is seduced by the vampire Ursula, the most beautiful of his supernatural enemies. As he sets out in pursuit of vengenace, entering the nightmarish Court of the Ruby Grail, increasingly more enchanted (and confused) by his love for the mysterious Ursula, he finds himself facing demonic adversaries, war and political intrigue. Join the Anne Rice Mailing List. Type your e-mail address and click "JOIN". Copyright � 2017 Anne Rice. All Rights Reserved. May not be reproduced in whole or in part without express written permission. E-mail Anne directly at anneobrienrice@gmail.com. For technical questions, contact the Webmaster.